What do we know about oaks? 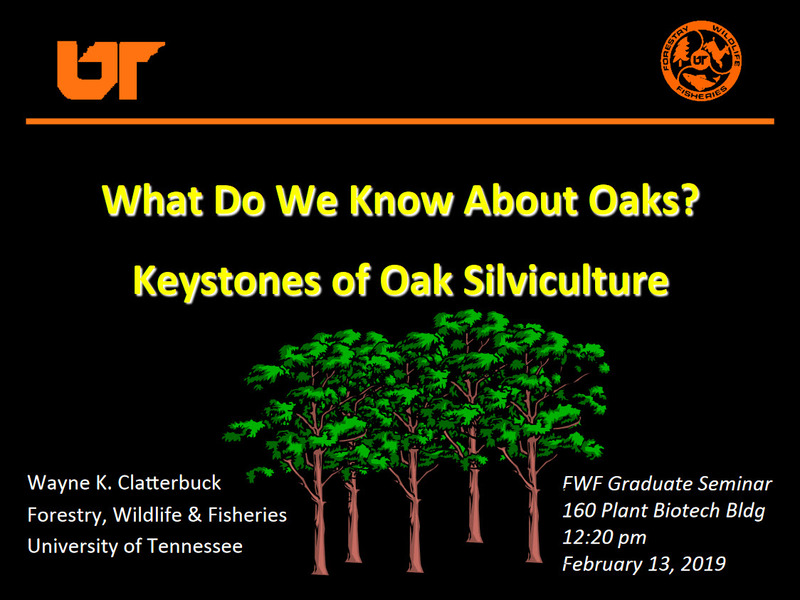 Keystones of oak silviculture. Seminar this semester meets in 160 Plant Biotechnology Building from 12:20 – 1:10 pm. Refreshments and light snacks will be provided by the department. A reminder that all FWF graduate students on campus whether enrolled or not in seminar are required to attend, and faculty and staff are strongly encouraged. Seminar will start promptly at 12:20 pm so there is adequate time for questions. For those that are interested in participating remotely, you can link to the following Zoom session. The presentation also will be recorded and posted to the following: FWF iTunes site.